A truly beautiful apartment situated behind the original art deco facade of the Hobart Tepid Baths in Collins Street, Hobart. The apartment is impeccably furnished to compliment the exposed brick walls and features all the mod-cons, WiFi, private terrace as well as access to the complex's rooftop. Walk to all inner-city attractions, Salamanca and the Hobart Waterfront. 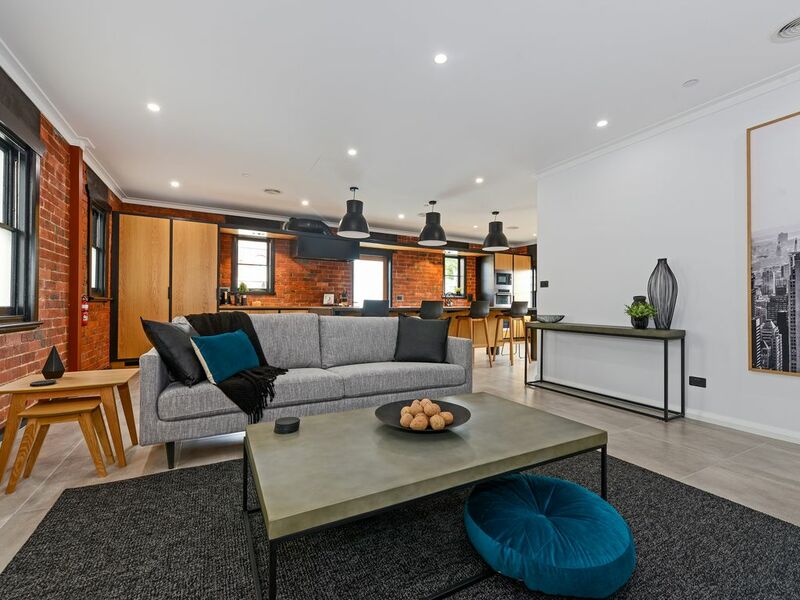 Undercover, garaged parking completes the package of this superb inner city apartment. The apartment features two spacious double bedrooms (one with King Bed and one with Queen Bed), a stunning designer ensuite with signature black tapware and fittings, main bathroom with European laundry, a study space (for those guests in town for work commitments) and a generous size living-kitchen-dining area with exposed brick walls. If you plan on cooking, make use of the three AEG ovens, wine racks, and Hafele induction hot-plates before enjoying your meals at the extra large island bench. Stay comfortable indoors with ducted heating and air-conditioning, or in the warmer months dine outside on the outdoor terrace accessed off the main living area. A unique apartment in a cracking location to make your time in Hobart complete.